French Guiana (pronounced or , French: Guyane française; [ɡɥijan fʁɑ̃sɛz]), officially called Guiana (French: Guyane), is an overseas department and region of France, located on the north Atlantic coast of South America in the Guyanas. It borders Brazil to the east and south, and Suriname to the west. Its 83,534 km2 (32,253 sq mi) area has a very low population density of only 3 inhabitants per km², with half of its 244,118 inhabitants in 2013 living in the metropolitan area of Cayenne, its capital. By land area, it is the second largest region of France and the largest outermost region within the European Union. Since 1981, when Belize became independent, French Guiana has been the only territory of the mainland Americas that is still part of a European country. Both the region and the department have been ruled since December 2015 by a single assembly within the framework of a new territorial collectivity, the French Guiana Territorial Collectivity (French: collectivité territoriale de Guyane). This assembly, the French Guiana Assembly (French: assemblée de Guyane), has replaced the former regional council and departmental council, which were both disbanded. The French Guiana Assembly is in charge of regional and departmental government. Its president is Rodolphe Alexandre. 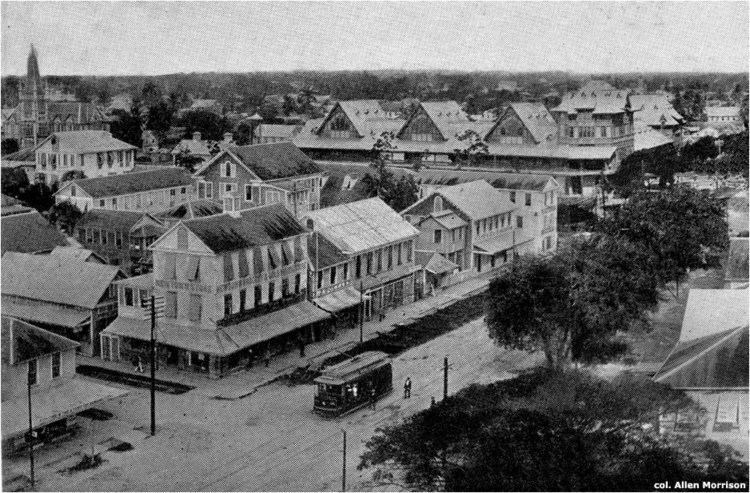 The area was originally inhabited by Native Americans. The first French establishment is recorded in 1503 but the French presence didn't really become durable until 1643 and the foundation of Cayenne. Guiana then became a slave colony and saw its population increase until the official abolition of slavery at the time of the French Revolution. Guiana temporarily became a French department in 1797 but was gradually transformed into a penal colony with the establishment of a network of camps and penitentiaries spread over the coast where prisoners were sentenced to forced labor. During World War II, Guianan Félix Éboué was one of the first to stand behind General de Gaulle as early as June 18, 1940. Guiana officially rallied Free France in 1943. It abandoned its status as a colony and became again a French department in 1946. De Gaulle, who became president, decided to establish the Guiana Space Centre in 1965. It is now operated by the CNES, Arianespace and the European Space Agency (ESA). Several thousand Hmong refugees from Laos migrated to French Guiana in the late 1970s and early 1980s. Nowadays fully integrated in the French central state, Guiana is a part of the European Union, and its official currency is the euro. The region is the most prosperous territory in South America with the highest GDP per capita. A large part of Guiana's economy derives from the presence of the Guiana Space Centre, now the European Space Agency's primary launch site near the equator. As elsewhere in France, the official language is French, but each ethnic community has its own language, of which Guianan Creole is the most widely spoken. Guiana is derived from an Amerindian language and means "land of many waters". The addition of the adjective "French" in most languages other than French is rooted in colonial times when five such colonies existed (The Guianas), namely from west to east: Spanish Guiana (now Guayana Region in Venezuela), British Guiana (now Guyana), Dutch Guiana (now Suriname), French Guiana, and Portuguese Guiana (now Amapá in Brazil). French Guiana and the two larger countries to the north and west, Guyana and Suriname, are still often collectively referred to as the Guianas and constitute one large shield landmass. The first French effort to colonize Guiana, in 1763, failed utterly when tropical diseases and climate killed all but 2,000 of the initial 12,000 settlers. During its existence, France transported approximately 56,000 prisoners to Devil's Island. Fewer than 10% survived their sentence. Its infamous Île du Diable (Devil's Island) was the site of a small prison facility, part of a larger penal system by the same name, which consisted of prisons on three islands and three larger prisons on the mainland, and which was operated from 1852 to 1953. In addition, in the late nineteenth century, France began requiring forced residencies by prisoners who survived their hard labor. A Portuguese-British naval squadron took French Guiana for the Portuguese Empire in 1809. It was returned to France with the signing of the Treaty of Paris in 1814. Though the region was handed back to France, a Portuguese presence remained until 1817. A border dispute with Brazil arose in the late 19th century over a vast area of jungle leading to the short-lived pro-French independent state of Counani in the disputed territory. There was some fighting between settlers. The dispute was resolved largely in favor of Brazil by the arbitration of the Swiss government. In a 2010 referendum, French Guianans voted against autonomy. French Guiana lies between latitudes 2° and 6° N, and longitudes 51° and 55° W. It consists of two main geographical regions: a coastal strip where the majority of the people live, and dense, near-inaccessible rainforest which gradually rises to the modest peaks of the Tumuc-Humac mountains along the Brazilian frontier. French Guiana's highest peak is Bellevue de l'Inini in Maripasoula (851 m (2,792 ft)). Other mountains include Mont Machalou (782 m (2,566 ft)), Pic Coudreau (711 m (2,333 ft)) and Mont St Marcel (635 m (2,083 ft)), Mont Favard (200 m (660 ft)) and Montagne du Mahury (156 m (512 ft)). 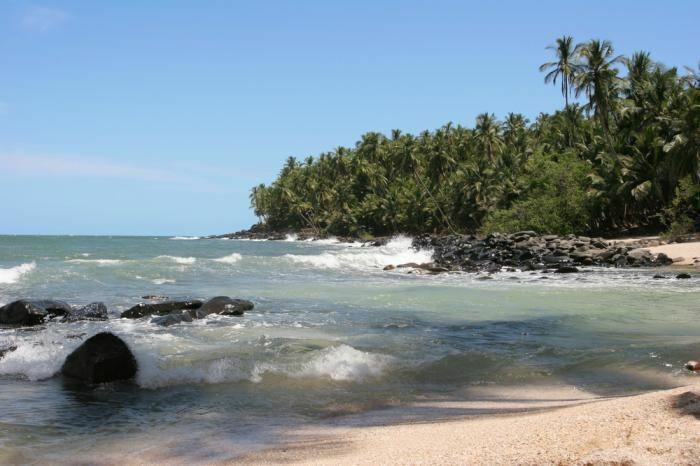 French Guiana experiences a tropical climate all year round. In 2012, the GDP of French Guiana at market exchange rates was US$4.90 billion (€3.81 billion), ranking as the largest economy in the Guianas, and the 11th largest in South America. There is very little manufacturing. Agriculture is largely undeveloped and is mainly confined to the area near the coast and along the Maroni River. Sugar and bananas were traditionally two of the main cash crops grown for export but have almost completely disappeared. Today they have been replaced by livestock raising (essentially beef cattle and pigs) in the coastal savannas between Cayenne and Saint-Laurent-du-Maroni, and market gardening (fruits and vegetables) developed by the Hmong communities settled in French Guiana in the 1970s, both destined to the local market. A thriving rice production, developed on polders near Mana from the early 1980s to the late 2000s, has almost completely disappeared since 2011 due to marine erosion and new EU plant health rules which forbid the use of many pesticides and fertilizers. 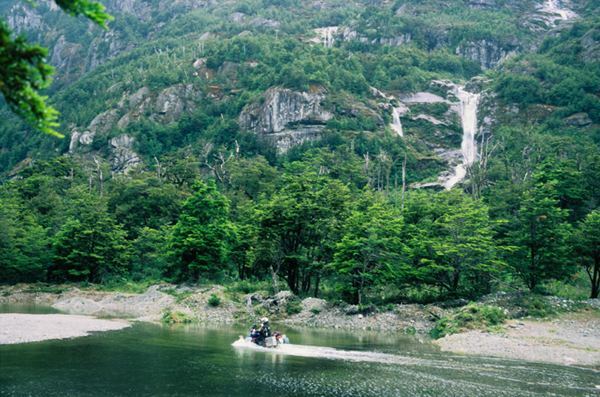 Tourism, especially eco-tourism, is growing. Unemployment has been persistently high in the last few decades: 20% to 25% (22.3% in 2012). In 2012, the GDP per capita of French Guiana at market exchange rates, not at PPP, was US$19,828 (€15,416), the highest in South America, but only 49% of metropolitan France's average GDP per capita that year, and 57.5% of the metropolitan French regions outside the Paris Region. French Guiana's population of 244,118 (2013 census), most of whom live along the coast, is very ethnically diverse. At the 2011 census, 56.5% of the inhabitants of French Guiana were born in the region, 9.3% were born in Metropolitan France, 3.4% were born in the French Caribbean départements (Guadeloupe and Martinique), and 30.5% were born in foreign countries (primarily Brazil, Suriname and Haiti). The main groups living in the interior are the Maroons (formerly called "Bush Negroes") who are of African descent, and Amerindians. 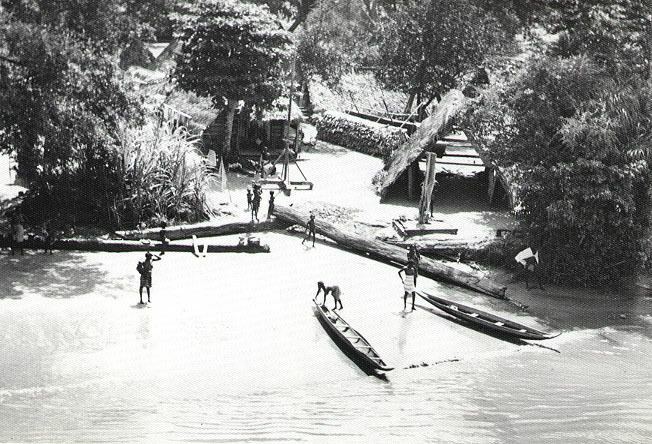 The Maroons, descendants of escaped African slaves, live primarily along the Maroni River. 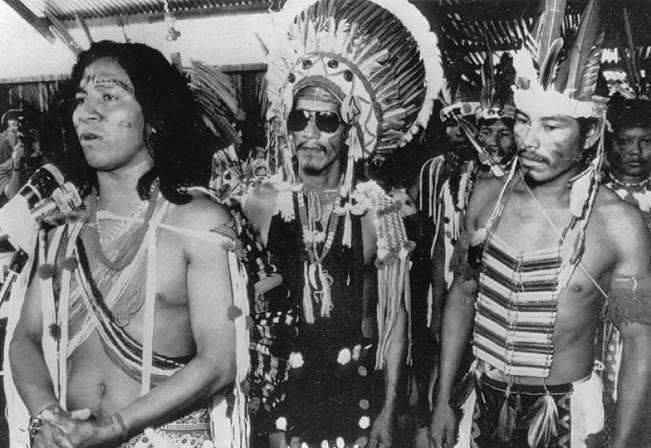 The main Maroon groups are the Saramaca, Aucan (both of whom also live in Suriname), and Boni (Aluku). The total fertility rate in French Guiana has remained high and is today considerably higher than in metropolitan France, and also higher than the average of the French overseas departments. It is largely responsible for the high population growth of French Guiana. The official language of French Guiana is French, and it is the predominant language of the department, spoken by most residents as a first or second language. In addition, a number of other local languages exist. Regional languages include Guianan Creole, six Amerindian languages (Arawak, Palijur, Kali'na, Wayana, Wayampi, Emerillon), four Maroon creole languages (Saramaka, Paramaccan, Aluku, Ndyuka), as well as Hmong Njua. Other languages spoken include Portuguese, Hakka, Haitian Creole, Spanish, Dutch, and English. French Guiana, as part of France, forms part of the European Union - the largest landmass for an area outside of Europe (since Greenland left the European Community in 1985), with one of the longest EU external boundaries. It is one of only three European Union territories outside Europe that is not an island (the others being the Spanish Autonomous Cities in Africa, Ceuta and Melilla). As an integral part of France, its head of state is the President of the French Republic, and its head of government is the Prime Minister of France. The French Government and its agencies have responsibility for a wide range of issues that are reserved to the national executive power, such as defense and external relations. French Guiana's main international airport is Cayenne – Félix Eboué Airport, located in the commune of Matoury, a southern suburb of Cayenne. There are two flights a day to Paris (Orly Airport), served by Air France and Air Caraïbes. The flight time from Cayenne to Paris is 8 hours and 25 minutes, and from Paris to Cayenne it is 9 hours and 10 minutes. There are also flights to Fort-de-France, Pointe-à-Pitre, Port-au-Prince, and Belém. Population figures are those recorded in the 2013 census. The 9th Marine Regiment (9e RIMa) of Cayenne, the Madeleine. As French Overseas department, French Guiana is not a member of the Pan American Sports Organization, rather athletes compete within the French National Olympic and Sports Committee and governed by the Ligue d'Athlétisme de la Guyane, a sub-unit of the Fédération française d'athlétisme. Charrière stated that all events in the book are truthful and accurate, allowing for minor lapses in memory. Since its publication there has been controversy over its accuracy.